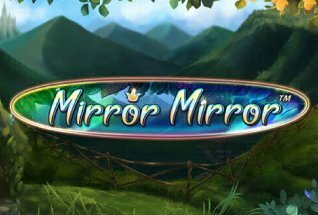 By Red Tiger Gaming, an incredible developer that has worked in this industry for a long time and knows how to create the best slots that you can find at many online casinos. These give you an amazing and unforgettable experience, and that’s very important for many players. Of course, it’s obvious that behind this company you have a marvelous team that makes sure you get the best quality from these slots, so that you can have a stupendous experience while playing them. 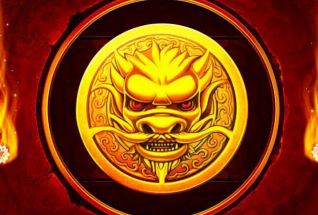 Red Tiger Gaming created Dragon’s Luck Stacks and this is one of the most recent slots that you are able to play by this company, and you’ll love it. This is a slot that has 10 reels and also 30 paylines. Your bets can be made from £0,20 up to £20, and you always have the possibility to adjust it higher or lower than the minimum and maximum bet, so you can make your bet what you want which gives more freedom and you can choose how much to bet. Dragon’s Luck Stacks has an Oriental theme to it, especially when it comes to the symbol’s design and also to the frame of the reels that is a temple with dragons on both left and right columns. Visually, it’s beautiful and that makes it more attractive for players, especially because it has 10 reels and that’s highly uncommon. That makes it also very unique and original, which gives it more credibility. If you want to play a slot that is just visually stunning, then choosing Dragon’s Luck Stacks is the right and perfect choice. 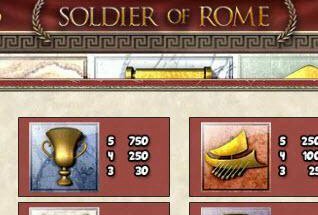 Something that’s common on slots is the Autoplay feature, and this slot has it available for you to use it, and it’s extremely useful. You just need to choose the amount of spins you want the slot to spin automatically (from 10 to 100), or the loss limit that goes from £200 up to £200,000.00, or if during a win it exceed a certain amount of money (from £200 up to £200,000.00, but it can also stop on jackpot win or on the bonus feature. You just have to decide it and then you can activate the Autoplay. If you want, you can stop it before it concludes. In this slot you won’t find any features like free spins or a special one, but you will be able to find some other ways to win a lot of money, especially with the incredible symbols that this slot has, that are highly rewarding. So even though you don’t have some of the most known features, you can still win some money which is great. You will have to play it for some time in order to win extra money, but you will be able to do it. This is the perfect slot if you want to have fun and to win some money too. 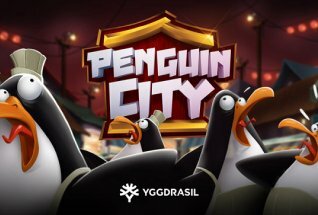 You will have the opportunity to get to know the Oriental culture a little bit more, and to benefit from incredible graphics and from a very cultural soundtrack that makes all the difference and it will make you feel like you’re walking in the streets of an Oriental city. The graphics have an amazing quality, which makes it possible to open this slot on a big screen and to have all the quality still, without losing any details, which is very important. Dragon’s Luck Stacks is based on the Oriental culture, and that’s something that you will notice right away, especially because of the design it has with a dragon on the columns of the temple that frames the reels. The colors are beautiful, and they make the symbols pop. You will be stunned with the beauty of this slot. When it comes to the symbols, prepare to be amazed by them. First of all you have the dragon coin, which hides a symbol, then you have mega coins that can vary in size and these are very useful if you want to get a good payout, you have the 138 symbol which is the highest paying symbol paying 3888 coins when 10 of them appear on the reels, then you have a doll, a fish, a lotus flower and the playing cards A, K, Q, J and 10. Although these are the lowest paying symbols, they can reward you still with a good payout, so pay attention to them as well. Dragon’s Luck Stacks doesn’t have any features or bonus rounds, but there are some other things you can benefit from that will give you some money as well. 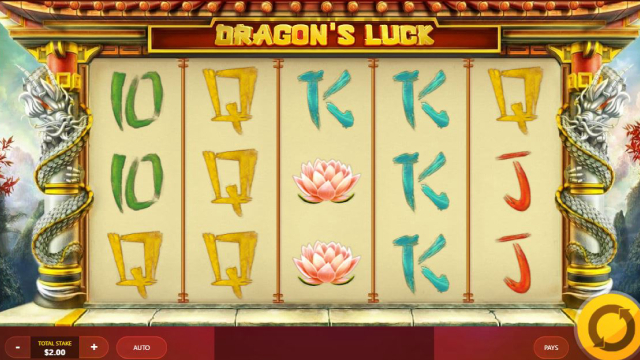 First of all there are the Dragon’s Luck Stacks which means that you will get symbols stacked on the reels to give you a better payout, so that’s amazing. Then you have mega coins, and these can have different sizes from 3×3, 4×4, 5×5, 6×6 or even 10×6 and with those a win is guaranteed. You can land more than one of these coins, and they are able to turn into multiple dragon coins, which is amazing. You have also multiple paylines, that gives you the possibility to form payouts with just a winline when there are symbols on adjacent positions, and that can be quite rewarding for players. Dragon’s Luck Stacks is a wonderful slot that you can play and will win some incredible payouts while doing it. It gives you the opportunity to have a lot of fun as well. You don’t have proper features or bonus rounds, but you have some symbols that can be more rewarding that a feature would be, so that’s even better. You can win up to 3888 coins, which is amazing. This slot is definitely worth your time, especially if you want to make some money with it. It’s the perfect choice, that’s certain.